Today Little Miss A met Father Christmas! We took her to the Santa's Grotto at the thecentre:mk. I was fortunate enough to win free entrance to the Grotto through a Facebook competition. 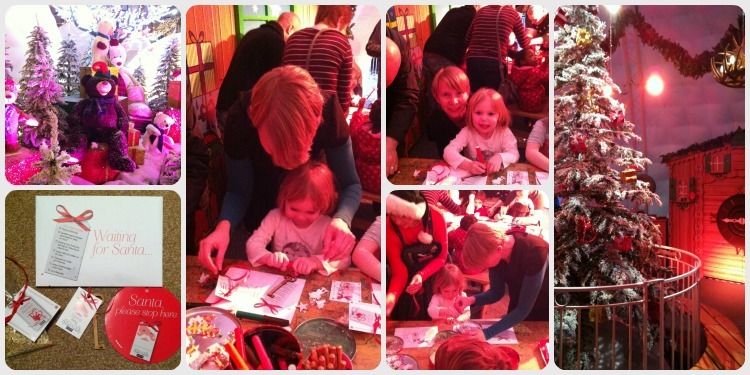 The experience started with a craft workshop with the friendly elves where we made a Christmas Eve pack. This included mixing magical reindeer food and decorating a Santa key. Then we were led through to meet the man himself. 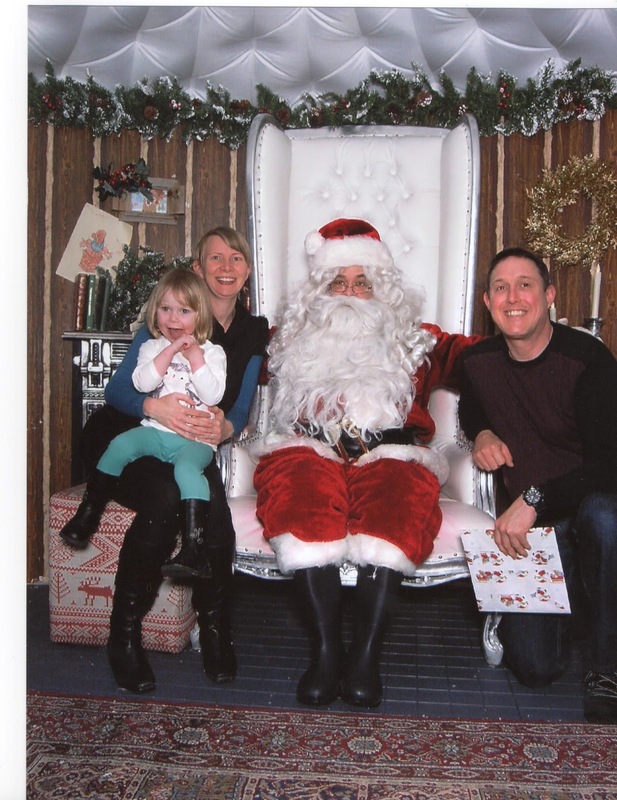 Not known for her shyness, Little Miss A kept hiding behind our legs and didn't want to talk to Santa! Typical! We managed to have one photograph taken with him so we had to purchase it! The whole experience lasted about 20 minutes and when we came out I decided to take Little Miss A on the magical train ride which goes through a wintery forest. 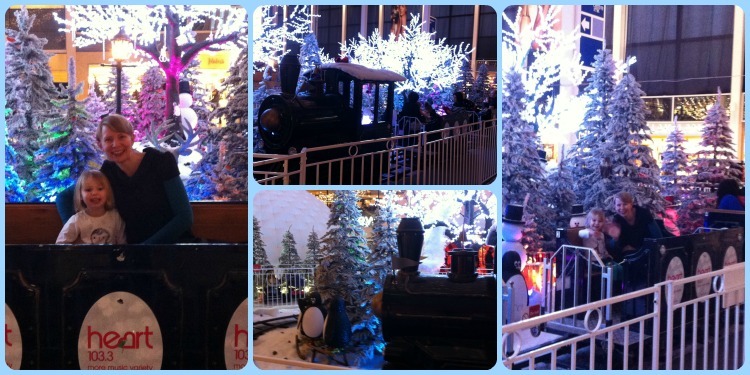 Little Miss A had a ride on the Santa Express train last year with her Nana. It was very similar and I must admit I was disappointed again by the fact that you just go round the track once. It's over so quickly for £2 per person! 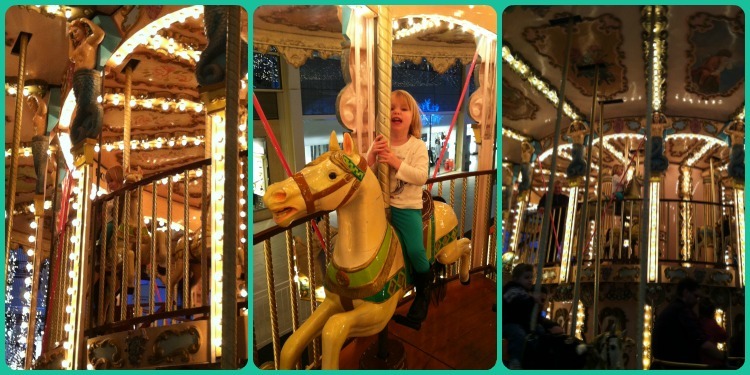 We did a bit of shopping in the centre before heading back as Little Miss A really wanted to go on the Carousel. It was absolutely beautiful and actually a double-decker Carousel. I've never seen one of those before! And of course, guess where Little Miss A wanted to ride - on the top level! Before we left, we grabbed a hot drink and a gingerbread man for Little Miss A. Lesson learnt, don't break any part of the gingerbread man off for her to eat - major tantrum! 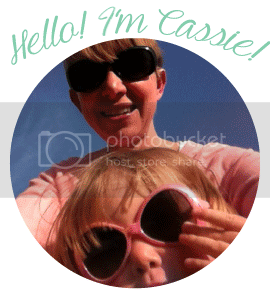 She calmed down by the time we got to the car - just! We had a fun festive time this afternoon. Maybe next time she'll actually talk to Father Christmas!